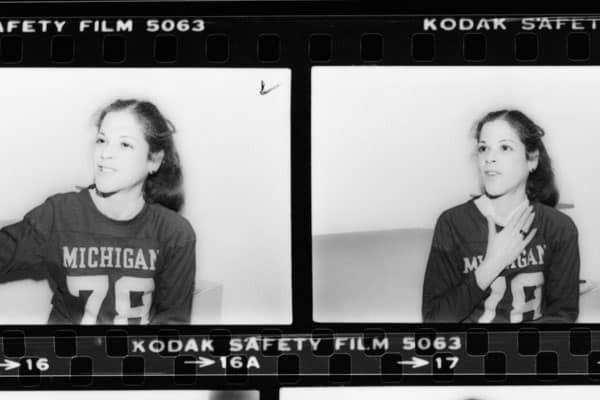 You’d have a difficult time trying to find a comedian more beloved than Gilda Radner. Maybe Robin Williams… but she’d be a close second. Radner, who died from ovarian cancer in 1989 at the age of 42, was an original cast member of Saturday Night Live (she was the very first person Lorne Michaels hired), who, alongside John Belushi, Chevy Chase, Dan Aykroyd and Bill Murray, became huge stars during the early years of the now landmark show. In Love, Gilda, director Lisa Dapolito puts recently found video and audio recordings Radner made throughout her to excellent use. It uses Radner’s voice to narrate the doc, which follows her life, career and untimely death. With the help of Michaels, Laraine Newman, Paul Shaffer, Martin Short and Amy Poehler and Maya Rudolph, the film brings to life her humor, fears and after she discovers her cancer diagnosis, thoughts on life and death. Dapolito‘s film is basically a love letter to those who already loved her. It may not bring new fans to Radner’s legacy but it’ll solidify the one she has with her fans. She talks about growing up in Detroit, her mom’s obsession with the young comedianne’s weight, the deep love for her father and how his death affected the rest of her life and her eating disorder she kept hidden. She talks on how some of her most famous characters are actually deeply embedded in her like; Lisa Loopner (she becomes when she is sick), Emily Litella is her beloved grandmother and Roseanne Roseannadanna is who she is when she’s home alone or with friends. Equally revealing is how hard it was for her to transition post Saturday Night Live. After leaving, she did a one-woman show on Broadway and even though it was a success, she felt lonely. She loved being part of an ensemble, being part of a family. Radner was extremely open in her diaries about her life, loves, her cancer and subsequent treatment. The videos of her in the hospital and her narration are heartbreaking because throughout, she’s still got her humor and smile, hoping she gets through it healthy. But, we, as the audience, unfortunately know the ending of the story.